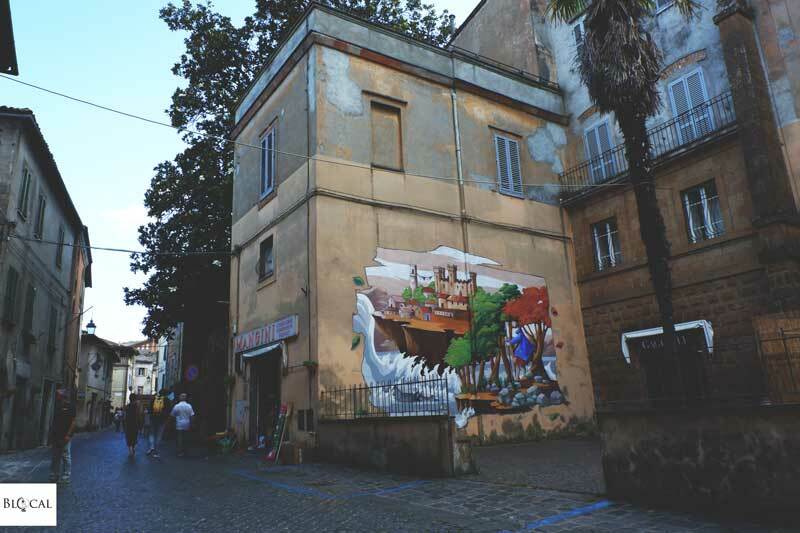 One of my favourite couple in the street art world was coming to paint just a few kilometres from Rome. While I’ve recently met Wasp Elder at The Crystal Ship festival in Belgium, I haven’t seen Helen Bur since last summer at Ibug festival in Germany, and I was looking forward to catching up with her. 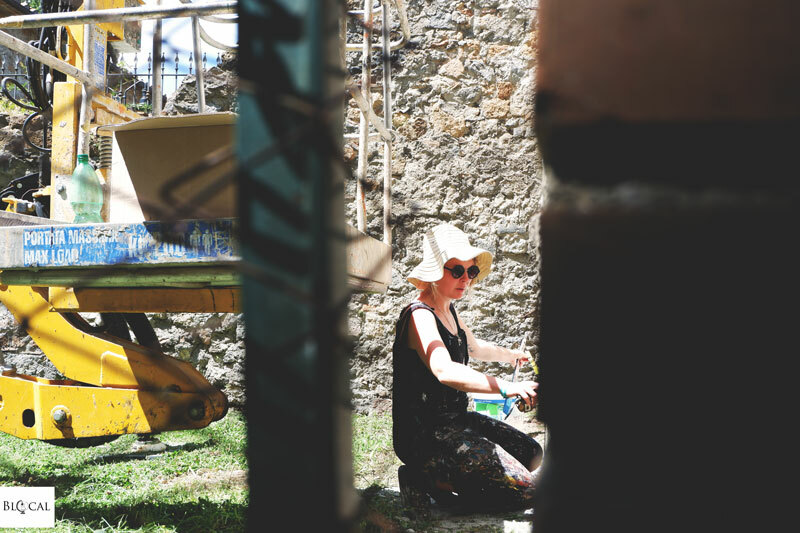 Unfortunately, neither of them could begin painting until Sunday, when I was already back in Rome, and so I missed the making of their two stunning murals in Acquapendente… what a bummer! When I left Acquapendente, Wasp Elder was collaging several images on the computer, which is the first step to create his signature mash-up pieces. In this way, his murals are always busy and full of energy. They look like frozen scenes from a movie that, in this case, would have been a video of the rebellion that happened in Acquapendente back in 1166. Wasp Elder’s mural in Acquapendente is about ‘Pugnaloni,’ which are large mosaics of flowers made to celebrate the Madonna del Fiore, a recurrence happening at the end of May. 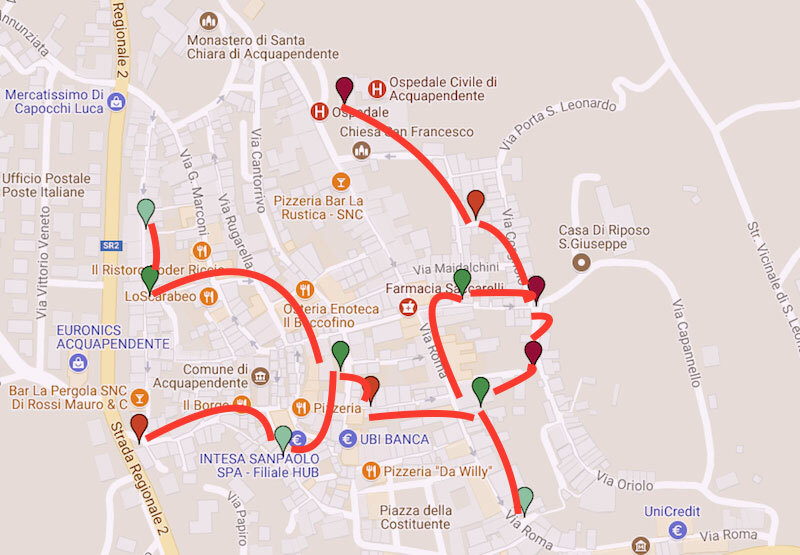 This tradition began in 1166 when Acquapendente rebelled against the tyranny of Federico Barbarossa. When a cherry tree, which had been fruitless for years, suddenly started to blossom again, the people interpreted it as an invitation to rebel and destroyed the castle that symbolized the imperial power. >> Coming Soon: my interview with Wasp Elder >> Stay Tuned! I love Helen’s fluid painterly tones and her determined brush strokes. 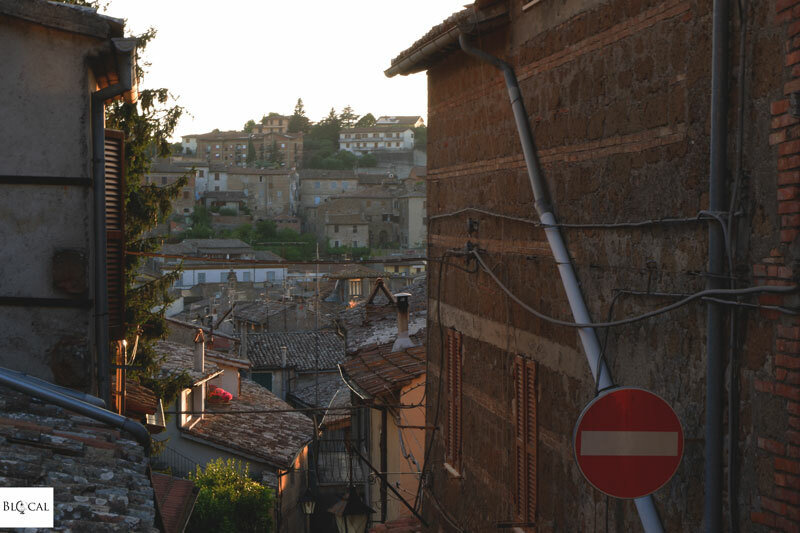 I love the way she interacts with the surface, always preferring old, crumbling walls with a strong character, like this one she got in Acquapendente. She always manages to paint powerful, emotive pieces that take part of their strength and power from the poetry radiated by the wall itself. Helen has the gift of seeing that vibe and paints along with it. 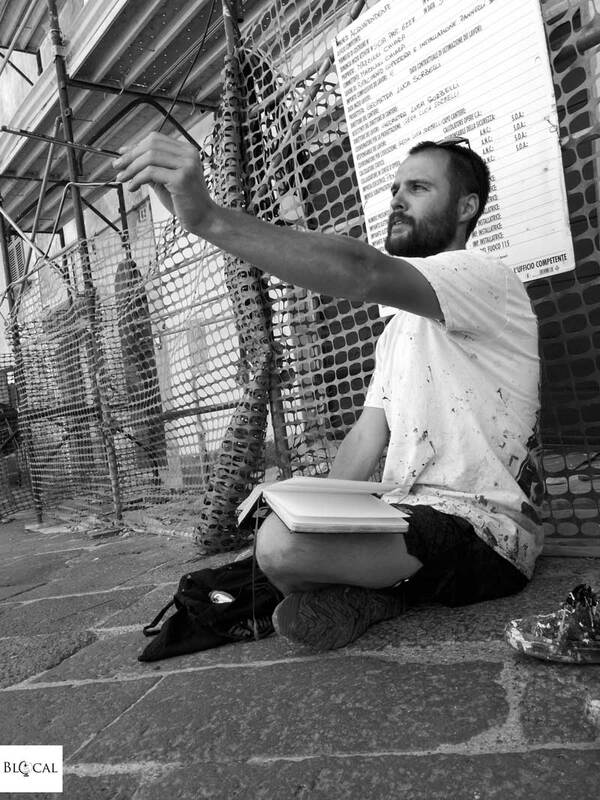 The mural she painted in Acquapendente is about migrant deaths in the Mediterranean Sea. With this piece, Helen wants to highlight the conditions of migrants, especially children, who deserve the freedom to fly and escape the hands of oppression. Another highlight of my weekend in Acquapendente was finally meeting Andrea Gandini. 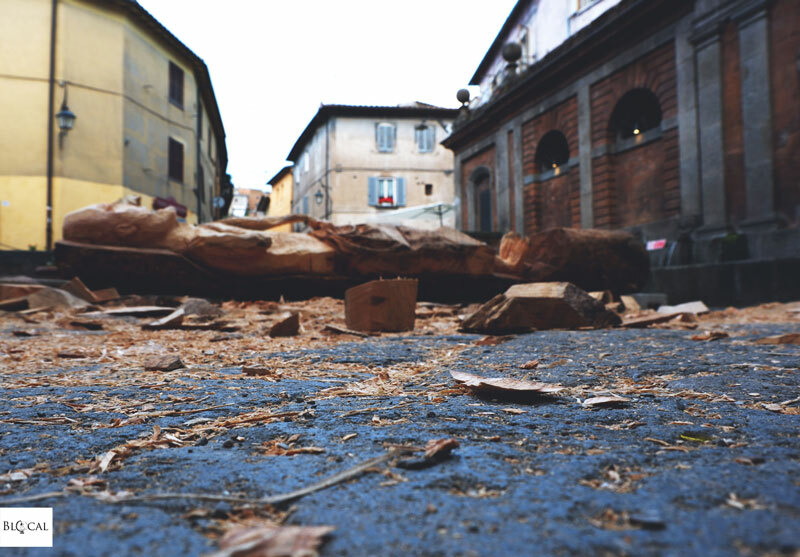 This young sculptor is well known for transforming Rome’s dead trees into artworks, mostly countenances. It’s always an amazing surprise to stumble upon his sculptures while walking around the city. They have the power of bringing you back to the present time and make you smile, no matter what. Here in Acquapendente, he made something slightly different, firstly because the wood he carved is not one of his iconic ‘dead trees’ and secondly because he carved a whole figure, not just a face. Titled ‘Testa Pesante’ (heavy head) and made of pine wood, Andrea’s longing for quiet inspires this sculpture. 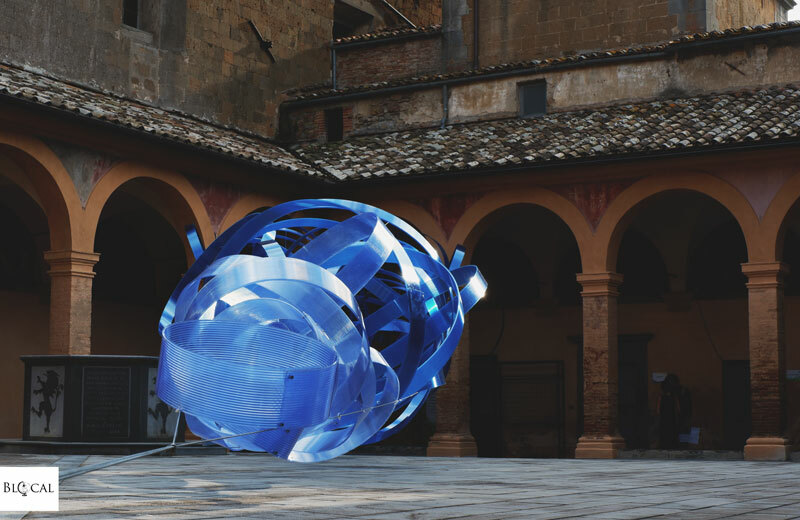 ‘Water Way’ is the site-specific installation by the Roman artist Marco Milia inside the courtyard of the San Francesco Church. His contemporary sculptures analyse balance and volumes; they are geometric shapes suspended in the air, fragments of clouds intertwined among them and with the surrounding space, which they eventually dominate. This young artist is still studying fine arts in her hometown od Philadelphia, yet she is already travelling around the world to paint on walls like if they were canvas. I’m looking forward to seeing what she is up next! 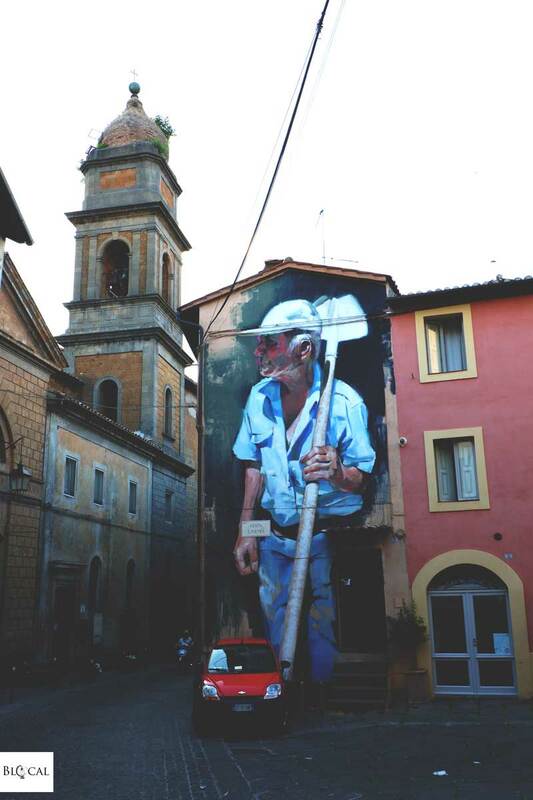 This local tattoo artist is a veteran artist of Urban Vision Festival, and by wandering around the narrow streets of Acquapendente, you will stumble upon his iconic pieces, of which the whole village is very proud. 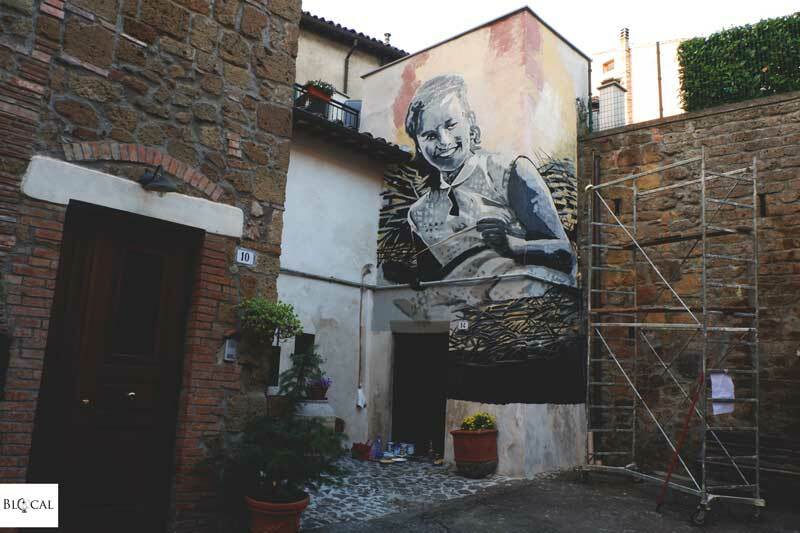 This year, he painted a woman inside a typical courtyard of Acquapendente, a hidden beauty that waits to be found by locals and visitors alike. 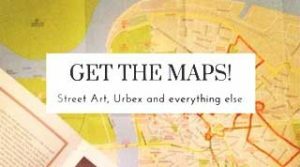 The Florence-based urban art gallery Street Levels had its own little space within the variegated program of the festival. 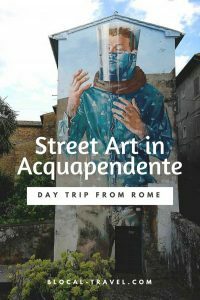 Besides showcasing artworks by some of the best street artists in Italy –such as Zed1 and Fabio Petani- the Street Levels Gallery also curated a couple of live paintings in the streets of Acquapendente. 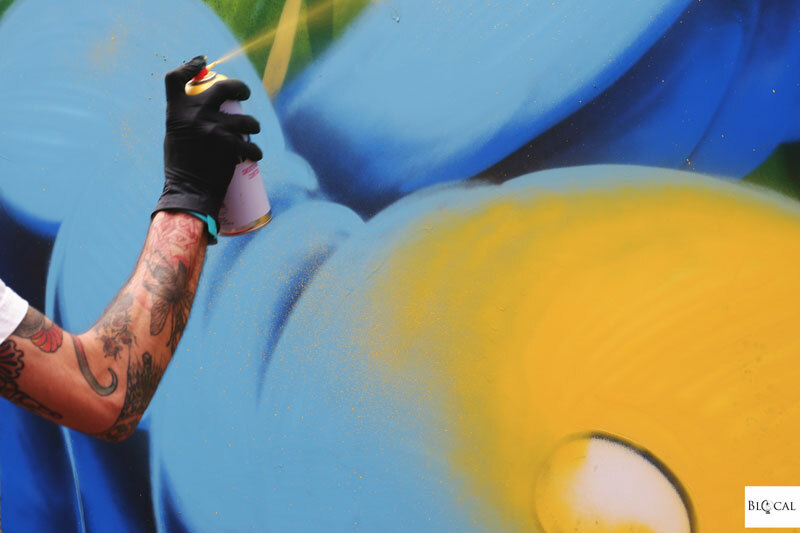 They were led by the graffiti artist Fone, who painted one of his iconic insect-shaped characters, and the contemporary artist and sculptor Mìles, who interacted with passers-by by painting their shadows on a canvas. For you veteran readers, you already know full well how much I love Eime’s stencilled countenances. This Portuguese street artist has focused on stencil art since 2008, hence developing a remarkable technique. His black-and-white portraits are always painted with brushes; they are hyper-detailed and characterized by a mesmerizing gaze. His characters always look very calm, as if glowing with some kind of inner awareness. On the wall of a school in Acquapendente, he painted a countenance that reminded him of a teacher. Born in southern Italy, raised in Milan and well-travelled all around the world, this artist works with stencils and collages. 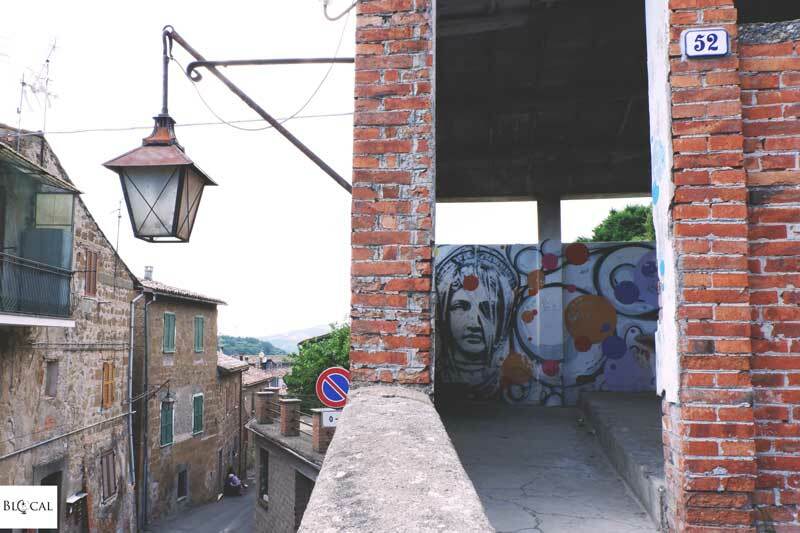 The mural he painted in Acquapendente is at the end of a steep street, and the way it stands out from the old walls of the village is fascinating. It depicts Hedy Lamarr, an Austrian-born Hollywood star from the late 1930s to the 1950s, who is also credited with being an inventor for developing a radio guidance system. Already from his artist name, which can be translated as ‘rust,’ his attraction to abandoned places and his fascination for material deterioration are both quite evident. The French artist La Rouille is known for his artworks inside forgotten places and abandoned urban landscapes, which enhances the changes that time has made on the buildings and space, incorporating into his art the melancholy of abandoned places and a strong feeling of nostalgia. 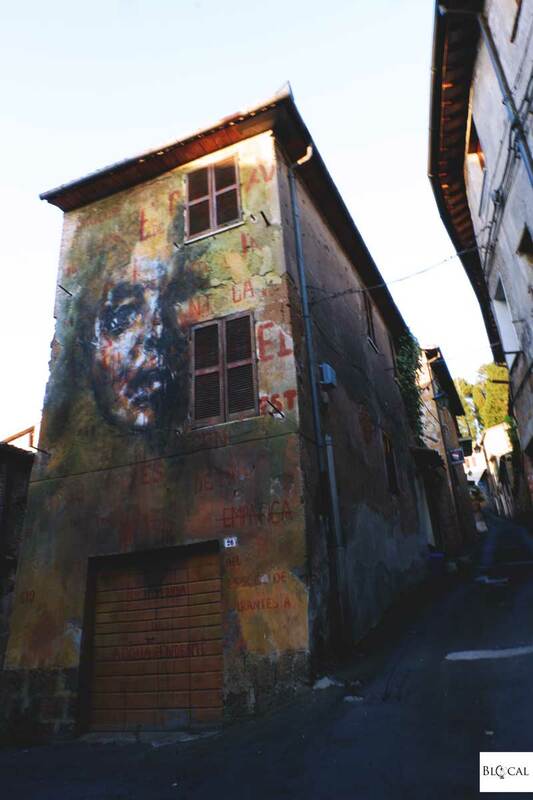 Here in Acquapendente, La Rouille painted one of his ghostly characters, which is slightly different from what he usually paints: he introduced some colours to bring life to the countenance, and the background of the mural is coloured as well, with a palette that recalls the shades of the old buildings of the village, but also the colour of ‘rust’. 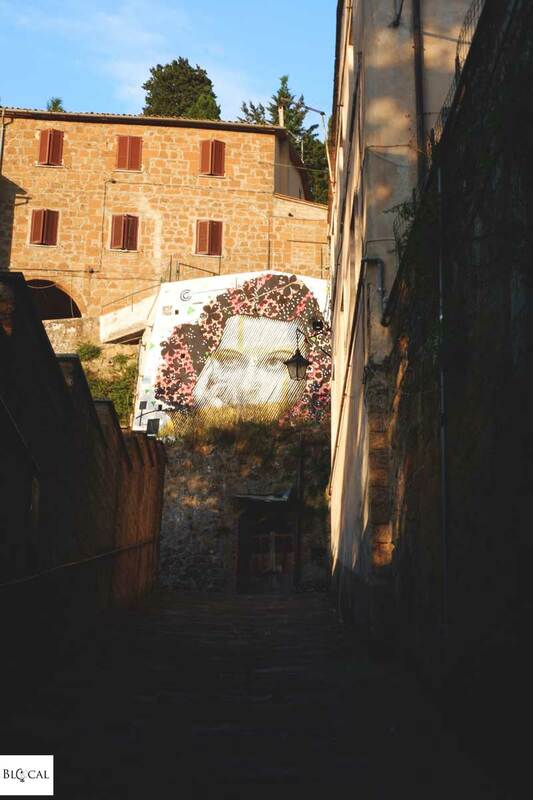 Sheltered by the surrounding houses, this mural transcends the atmosphere of the quiet and serene place normally evoked by the small village of Acquapendente. 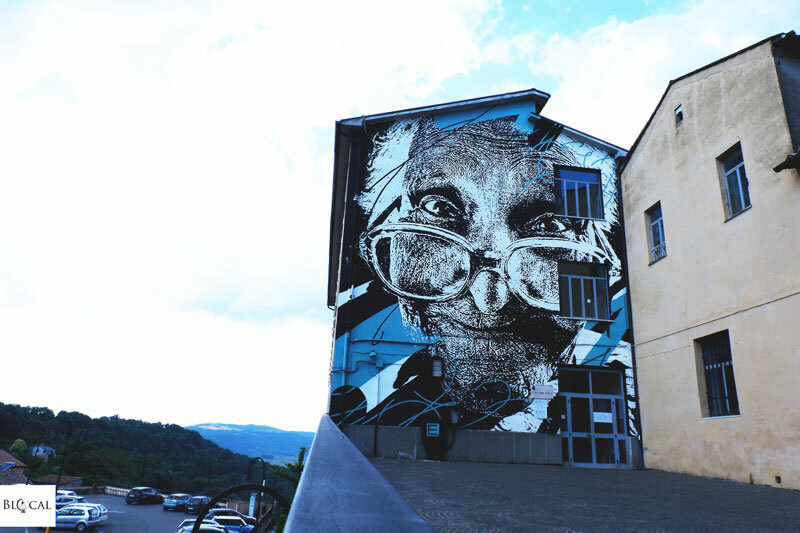 The old lady depicted by the Argentinian street artist Bosoletti has something in her eyes: wisdom, knowledge and a depth that only age and time can give. The fact that the mural is painted on a deteriorating, crumbling building, only adds character and poetry to the piece. 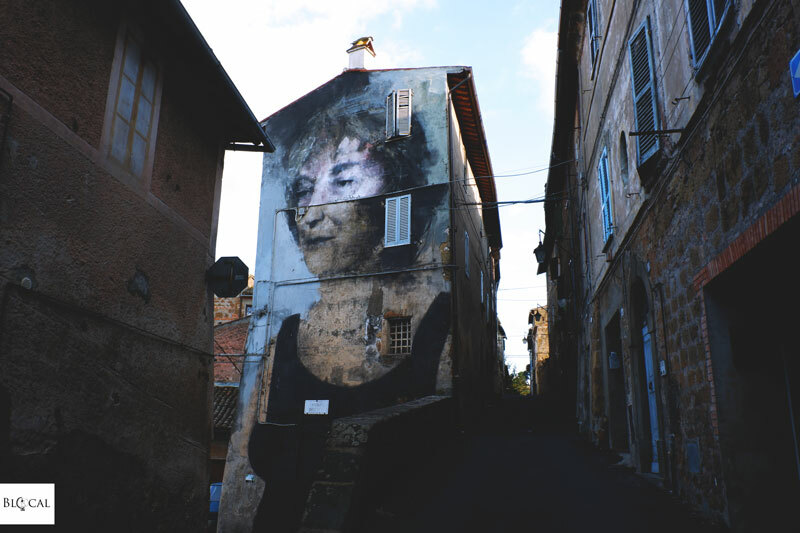 Alessandra Carloni is a contemporary artist from Rome who is also experimenting on walls. 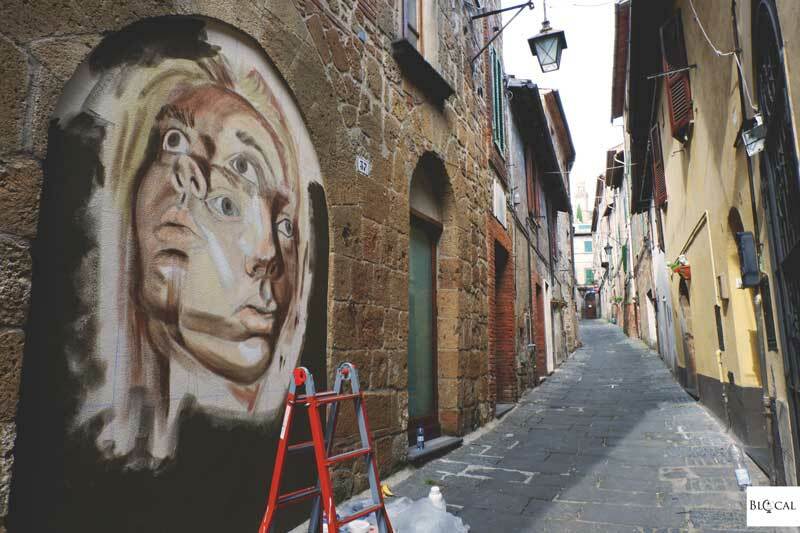 Her murals, like this one in Acquapendente, are very similar to her canvas: a glimpse into her dreamlike world, which is inspired by Shaun Tan, Bosch, and Surrealism. Dreams are very important in Alessandra Carloni’s creative process, as she paints a reality that is not the one in front of our (open) eyes, but the one we live when we are asleep. 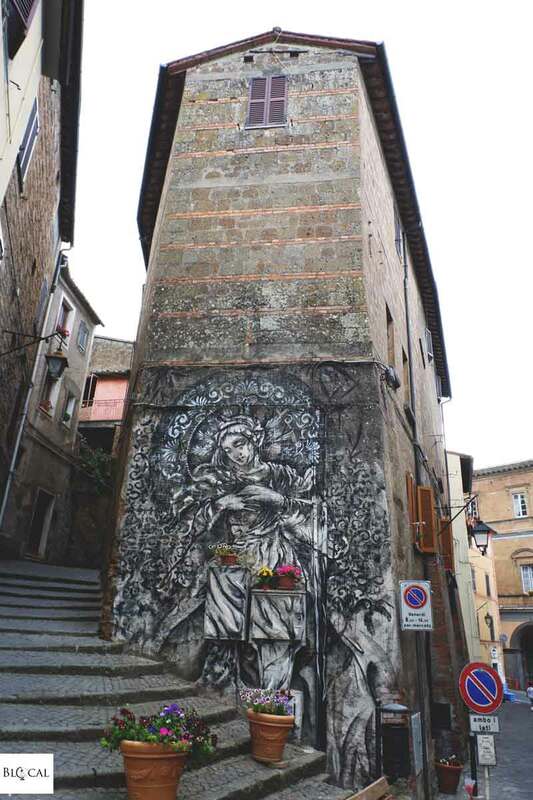 In Acquapendente, this young Italian street artist realized a huge, black-and-white stencil piece depicting the Virgin Mary surrounded by an intricate lace. 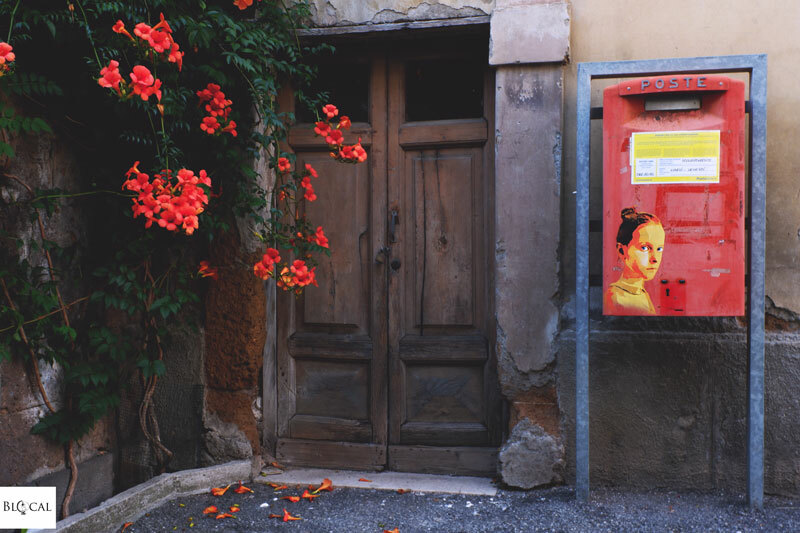 However, my favourite street art by Kadmeia in Acquapendente is the one painted inside the old washtub: I liked the juxtaposition between the bright colours of the artwork and the softness of the red bricks of the washtub and of other old houses in that area of the village. 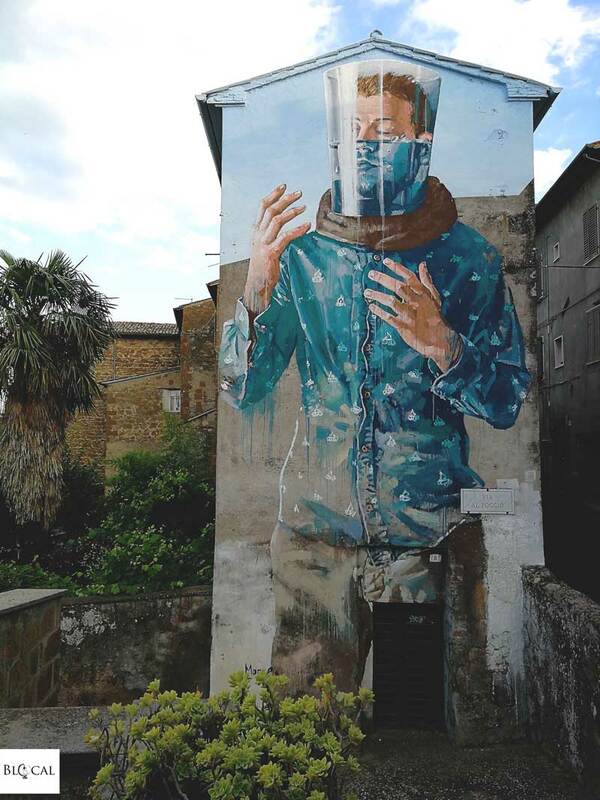 Titled ‘Drowning while standing,’ Fintan Magee’s mural in Acquapendente is about climate changes that will eventually kill us. 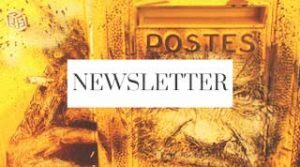 Water not only asphyxiates the protagonist of the artwork but has made him inaudible in the first place, like all those people who are raising the environmental issue, while nobody –especially politicians and those who are in power- listens to them. This is, without doubts, my best-loved street art piece in Acquapendente, not only for the environmentalist topic but especially for the surreal way in which this immensely talented Australian street artist tells us the stories he cares about. Rumours have it that Manolo Mesa walked for five days through the natural reserve surrounding Acquapendente, breathing in the landscape and its peculiar colours, before beginning to work on his stunning piece. During his wandering, he met Osvaldo, the local shepherd portrayed in his mural ‘Retrato de Osvaldo.’ The piece is also inspired by a series of frescoes inside the opposite church, which depict a flock of sheep. This piece is one of my favourite pieces in the public art collection of Acquapendente: Manolo Mesa is amazing at bringing contemporary art onto the walls, with a signature style that brought him from his hometown of Cadiz to street art festivals all over the world. Check out my video from Acquapendente on Blocal’s IGTV channel!